Intelligent Knowledge Based Systems in Electrical Power Engineering details how intelligent applications can be used in the power industry. 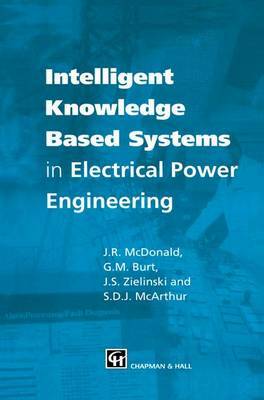 The book gives a general and historical overview of intelligent knowledge based systems (IKBS) and artificial intelligence (AI) and a broad analysis of the application of these techniques in the electrical power industry. It includes chapters on forecasting and planning in power systems, design of electrical plant and systems, IKBS in condition monitoring, alarm processing, event and fault diagnosis and an analysis of future trends in IKBS for power engineering. No previous knowledge of IKBS is assumed, but an appreciation of electrical transmission and distribution systems would be useful.